Property 104: Very nice two rooms Altiport Méribel. 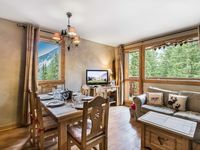 Property 106: Pretty 4 pers apartment Méribel Plateau ! APPT 55m2, Domaine Jardin Alpin, beautiful view, southern expo, terrace! Property 139: APPT 55m2, Domaine Jardin Alpin, beautiful view, southern expo, terrace! Lovely balcony view. Good location. 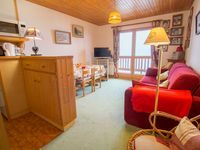 This chalet is located in a quiet area and directly on the slopes. Perfect for our family. It is well equipped and in great condition, we'll definitely come back.